LabelLock, the world renowned brand of security labels, has achieved the ultimate security certification that is ISO 17712:2013. 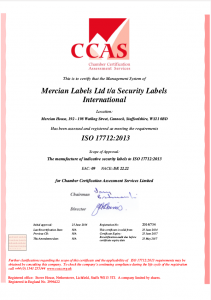 As a result of recent upgrades to in-house security systems, and further investment in chemistry and design, the decision to move towards certification of the new security seals standard was an easy one, said Adrian Steele, managing director of Midlands-based Security Labels International, part of the Mercian Labels Group. ‘As a business, we are completely committed to the integrity and quality of our indicative security labels, and are constantly seeking ways in which we can improve, and demonstrate our determination to manufacture a world class product’. ‘The LabelLock brand is the envy of the industry, so it seemed only natural to underline its popularity in the security sector with the benchmark security certification’. LabelLock is designed to ensure that nothing is added to or removed from packages or secure areas, and is often used to determine the secure integrity of aircraft, vehicles, buildings as well as panels, cabinets and street furniture. 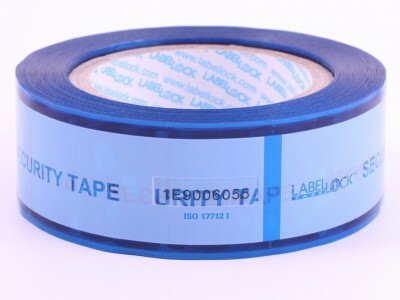 In what is believed to be an industry first, the full range of Label Lock security labels and tapes are now available to conform to the latest ISO17712:2013 “I” standard for Indicative seals, and are said to be the only security label and tape products worldwide manufactured to the new standard. Security Labels International chose to update and improve the physical security at its manufacturing plant in Staffordshire as well as undertaking 100% security vetting of all staff to meet the new standard. New tamper evidence testing protocols were also been developed to systematically test product quality, and further improvements made in design and tamper evident performance to meet the exacting new standard. The accreditation was only achieved following an external inspection by independent auditors who tested conformance of the products and business processes to the new standard as part of the company’s existing UKAS accredited ISO9001:2008 quality assurance certification. LabelLock is available worldwide through a carefully selected network of distributors, and is used by governments, police, transportation, chemical, pharmaceuticals, manufacturing and healthcare industries. 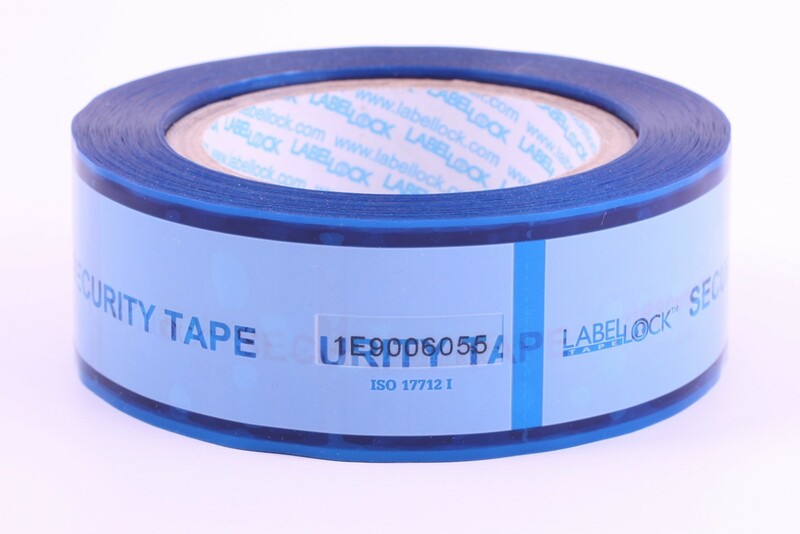 Further information including a copy of the ISO17712:2013 certificate can be obtained through the website at www.labellock.com or by telephone on +44 (0)1543 431099.